For our third week of living with art we painted paper mache. Our first project was a pencil box for them to keep their pencils and other small supplies in. 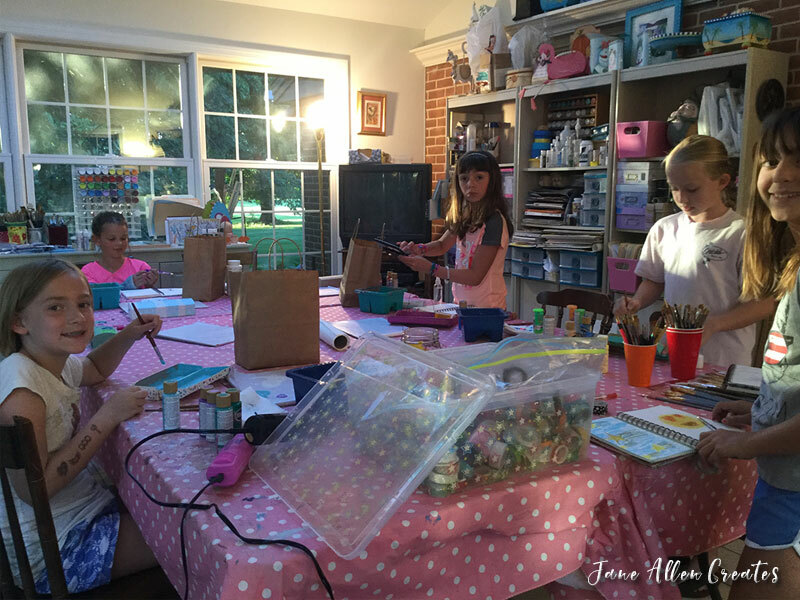 I let them paint whatever they would like using DecoArt Americana acrylics. Our class is 2 hours and they had a half an hour left so I gave them a second project – a small paper Mache jewelry box. I hope you are enjoying seeing all of creative fun. I hope it inspires you to share the love of creating. Love your sharing and their creativity!